Google's not missing a beat. Amid fears that Apple is losing its innovative edge, Google unveiled its second-generation Nexus 7 tablet in a bid to remain in the lead Wednesday. Sort of like Usain Bolt's full charge ahead at the end of the Beijing 100m race. The original Nexus 7 was joyfully received upon its launch last June, with critics waxing lyrical about its "Porsche-like speed and agility." The newer version boasts surround sound, super-high-resolution and unparalleled speed. It basically looks the same, so here's a picture of a Porsche so you can experience how it's meant to feel. Even though Apple's steadily losing its edge in the tablet market, with iPads bringing in less revenue per sale than they used to, tablets are on the rise. Android's senior vice president even claims that "by the end of 2013, consumers are going to buy more tablets each year than personal computers." He's not exaggerating. Tablets have been playing the catch-up game for a while, and it's predicted that their sales will eclipse that of computers any day now. 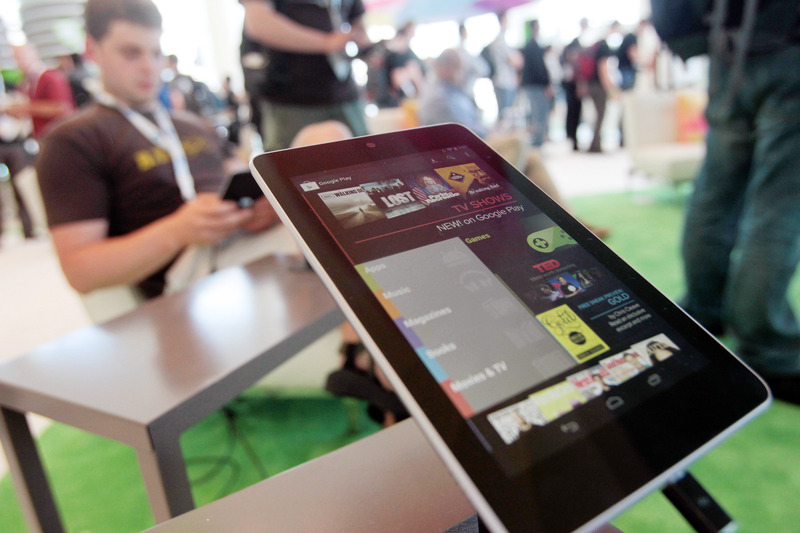 It'll also help Google that tablet ads are pricier than PC ones. The company is praying this'll stave off Amazon's foray into the tablet market: the cheaper, acclaimed Kindle Fire has long been a threat to Nexus 7. You can buy the new toy in less than a week, on July 30.